The yard around my house is flat except for a slight slope in the front close to the curb and street. Cutting the grass using a reel mower, one without an engine, took an hour and a half. This changed in August when I found the cutting time increase by an extra half to full hour. Sometimes I would be delayed cutting the grass by rain or my lower back acting up. It did not take long for me to want a mower with an engine. I went Online and did research on electric mowers. 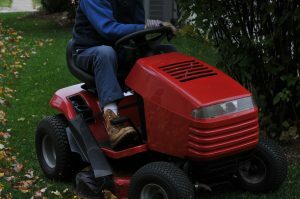 After a few days I found a reliable brand, it shall remain nameless in this post, whose cost with the charger and battery added to what a high quality electric mower costs by itself. The electric mower, battery and charger arrived before Labor Day and a few days later I tried out the mower. The sound of the engine was quieter than a gas mower, it turned great, and cut really well. The downside the battery lost power after a few minutes instead of after an hour per use until recharged. I tried to get the mower to run again but it would not last beyond a second or third restart. I made the choice to switch to the reel mower and finished the yard. It became dark by the time I finished. The following day I e-mailed the company and a new battery arrived a week later. I tried again with the new mower and got further before it lost power. This time I took a break, rested, and then contacted the company a second time. This time I asked if there is an authorized local dealer I could take the electric mower to and a customer service person answered yes. It was a couple of weeks before I heard back that the engine in the electric mower was too fast and that is why the battery failed. I would be getting a new electric mower. I really appreciate what this company has done replacing one battery and then the mower itself. Customer service was considerate and friendly. My lawn is half way cut but given the grass’ height it will take another day to finish. I do not mind as long as the mower keeps working again and again.